Protect your investment and protect your teeth! 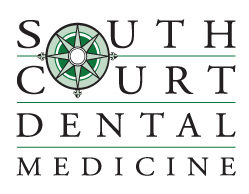 It only takes one traumatic dental injury to create a lifetime of expensive dental problems. Approximately one in every six sports injuries are to the face, and most dental sport injuries happen to the two front teeth. Those wearing braces are even more susceptible to painful cheek and lip injuries because of the wires and brackets. Stock Mouth Trays: Plastic trays in standard S/M/L sizes with no custom fit. Guards must be removed from the mouth for speaking. Least expensive. Least amount of protection. Boil and Bite: Kits available in drug stores. You make these at home by warming the plastic and molding it to your teeth and gums. Make sure to cover all teeth and gums as much as possible. Carefully follow the manufacturer instructions if you're using these over braces. Don't get it stuck! These trays provide a semi-custom approach with limitations. There may not be enough thickness for protection in critical oral areas. 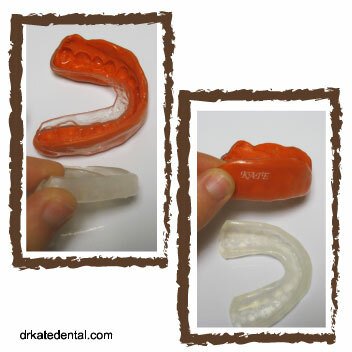 Dentist-Made: Obviously, a custom-made mouth guard will provide the best protection, and also cost the most. Dentists make these special, in-office, and ensure they provide the proper amount of protection for the teeth and gums. Custom fit mouth guards are easier for speaking and breathing compared to other trays. Below you can see the difference between Boil and Bite (clear), and Dentist-Made (orange) guards. Notice the Dentist-Made guard will reach higher over the gum area and is much thicker all around, two benefits of professional work. Is there a guarantee that mouth guards will prevent all dental injuries from contact sports? No, but you wear your seat belt in the car because it's shown to prevent injuries. Same idea. Did you know that boxing is the only professional sport that formally requires mouth guards? I realy like this angle that you have on the topic. I wasnt thinking on this at the time I begun browsing for tips. Your ideas was totally simple to get. Im glad to find that there's an individual here that gets it on the spot what its is talking about.